Did we enjoy Tremblant? Mais, oui! 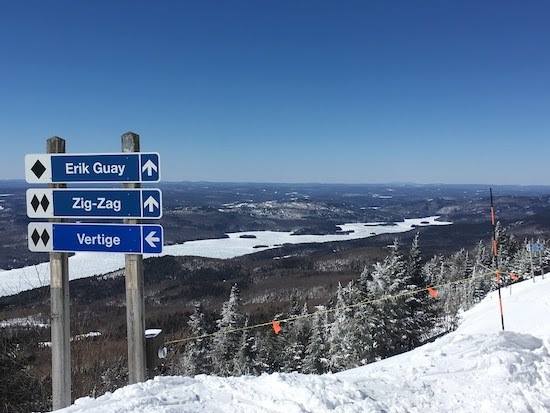 Tremblant est fantastique! 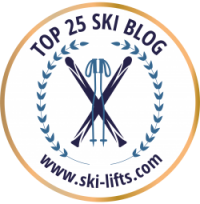 One of the oldest ski resorts in North America (Sun Valley, Idaho, is the oldest), Tremblant is consistently rated at the top in SKI Magazine’s annual round-up of Eastern ski resorts. 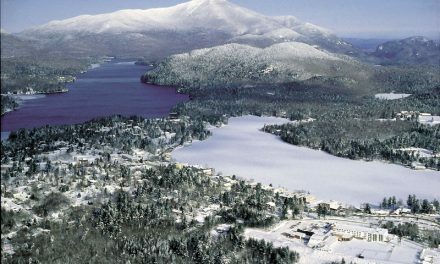 The pedestrian village at the base of the mountain has a charming, Old World feel, there’s terrific food and lots of available lodging, and the mountain is tons of fun. Total Trails: 102. Beginner, 21%; Intermediate, 32%; Advanced, 32%; Expert, 15%. So what’d we like about it? 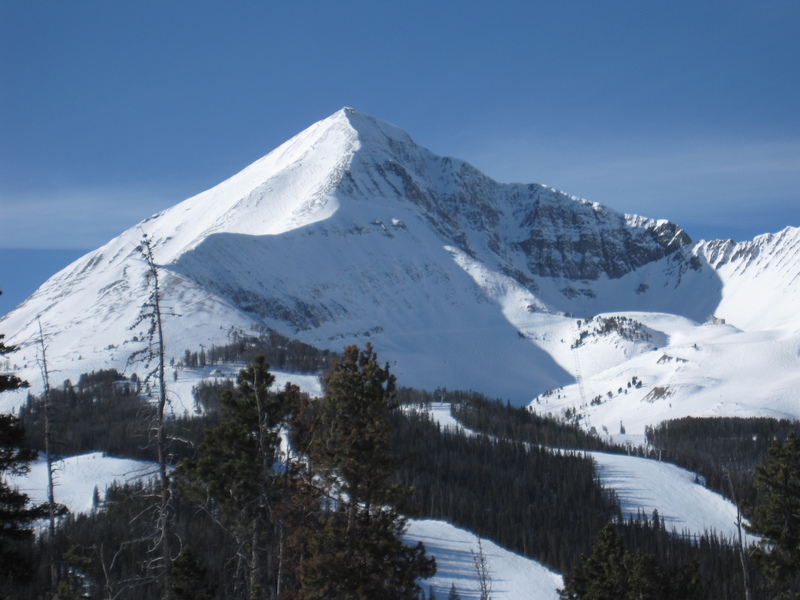 The mountain: For us Ski Divas, this is by far the biggest concern. Sure, good food and accommodations are nice, but if the mountain doesn’t deliver, frankly, we’re not interested. Never fear. 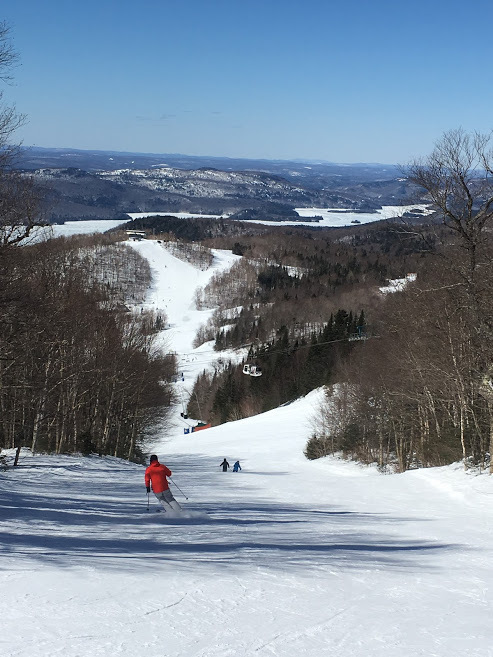 Mont Tremblant didn’t disappoint. For one thing, all the lifts go to the top, which is super convenient. 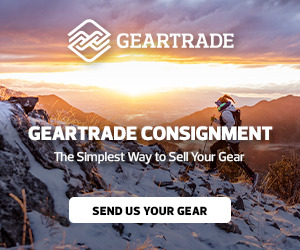 And once you’re there, you can ski the north, south, or soliel (sunny) side. So if it’s blowy or the snow’s not great on one part of the mountain, you can easily move to another and chances are it’s entirely different. 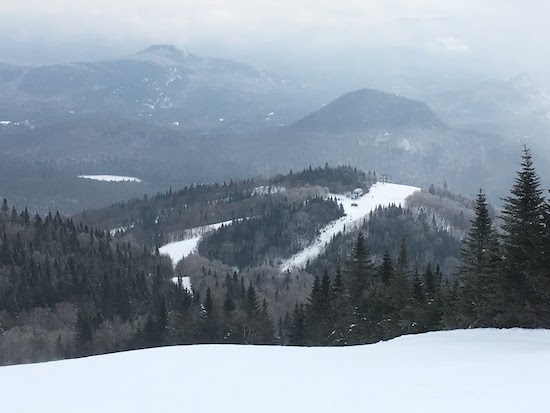 What’s more, there’s literally something for everyone — lots of long, long trails with a good amount of pitch; super fun glades; great bump runs; terrific views; along with plenty of greens for those who’re just starting out. It’s all good. 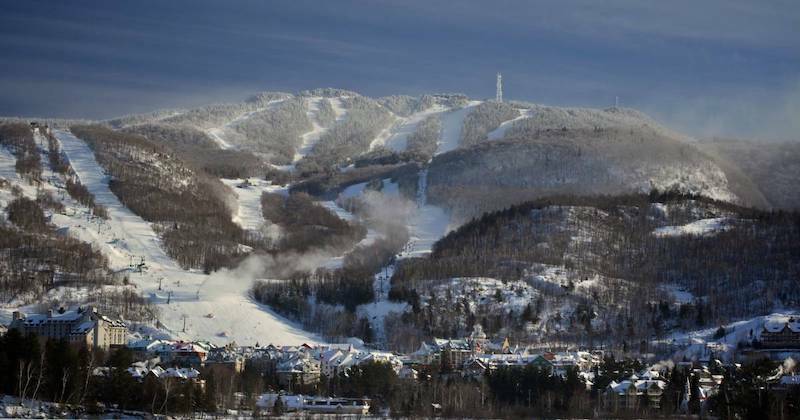 The village: Spread out across the base of the mountain is a pedestrian village, otherwise known as Quartier Tremblant. Constructed in the early 2000’s, it’s built in a style that’s reminiscent of Quebec’s Old City. And sure, it’s probably a bit Disney-esque. But it’s also very convenient and loaded with hotels, shops, and restaurants, all within easy walking distance of each other and the slopes. If you don’t stay at the base of the gondola, no worries: there’s Le Cabriolet, the commuter lift that skims over the village’s rooftops to drop you off steps away from the gondola base. Kind of makes you feel like you’re Mary Poppins. 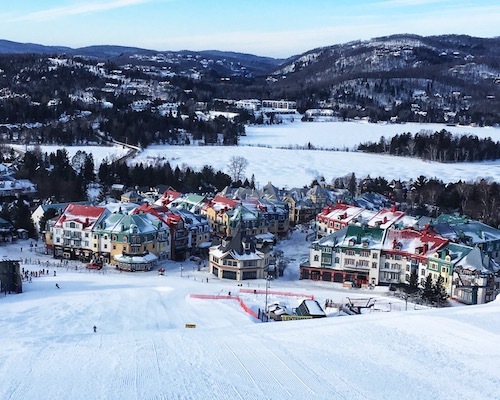 Old World Charm: Tremblant is French to the core; well, French-Canadian, anyway. So you get this Old World-I’m-in-another-country feeling without ever having to cross the Atlantic. 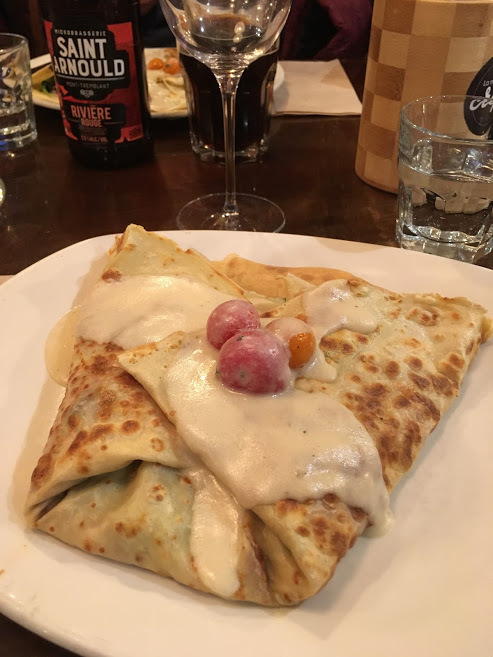 It’s lovely, everyone speaks both French and English (which makes it easy for those of us who aren’t bi-lingual), and the food is terrific. One of the best parts of the trip was skiing with members of TheSkiDiva community. One of our local Ski Divas even guided us around (thanks, Jill!). And sure, the venue was great. 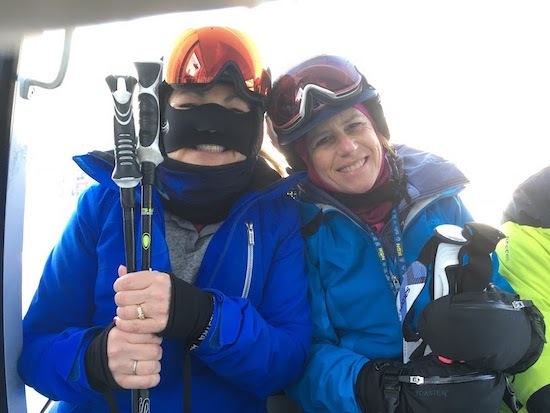 But getting to ski with people we interact with on the forum — well, it’s like skiing with old friends. Needless to say, we had a blast. 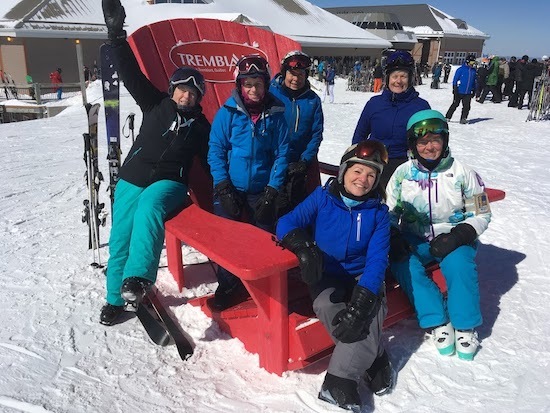 Some of the Ski Divas at Tremblant. …and so were the views. Really, the views are magnifique. 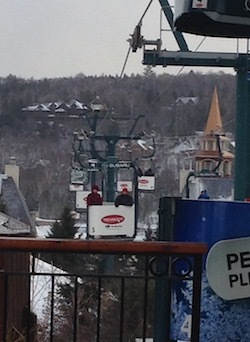 Good times on the gondola. 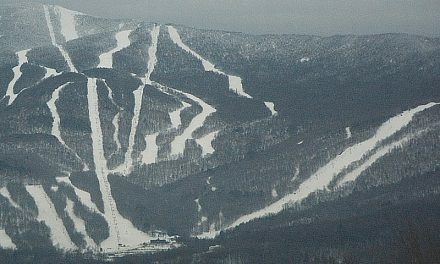 I give Mont Tremblant two ski poles waaaaay up. I’ll definitely be back! Hey, thanks for posting this. 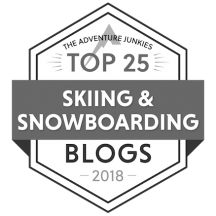 While I haven’t tuned in this year as much as I would have liked, it’s great to know you have the ski meetups. On my radar now.